Since 2007 we have reclaimed over £1 Billion (prior to fees and taxes) for our clients in mis-sold payment protection insurance claims. In cases where payment protection insurance was attached to the financial agreement, we successfully reclaim it for 91% of our clients (based on 30 months’ worth of data from July 2016 to December 2018). Our wealth of experience assists us in providing the most efficient service we can. Starting your PPI check with Gladstone Brookes is simple; just fill in our form to get started. If your PPI Check shows that PPI was or may have been present, you can make a claim to recover any money you may be owed for your PPI. The PPI Deadline date has been set by the Financial Conduct Authority (FCA). 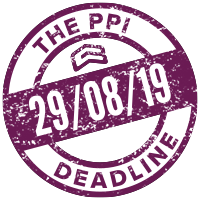 You now have until 29th August 2019 to submit your PPI claim. Looking for an update on your case? 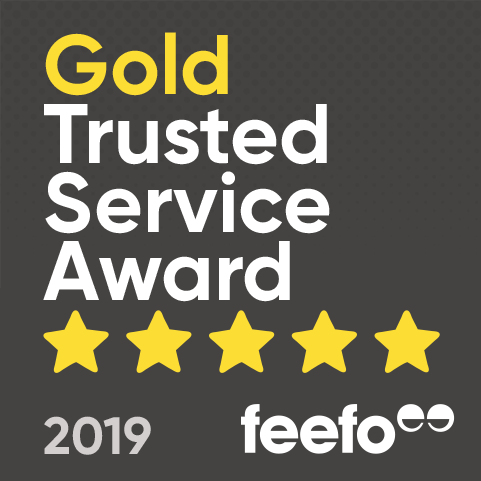 Our customers have given us a 4.5 out of 5 score on Feefo (based on 4,819 reviews between July 2017 and June 2018) – an independent review platform used to gather real, honest customer feedback. Our average claim time frame is 8-16 weeks from the date of acknowledgement to getting a decision. We’ve reclaimed mis-sold payment protection insurance from a wide variety of lenders in the UK finance industry. No matter what your loan, mortgage or credit card was for, if you were mis-sold the PPI policy, then you are entitled to make a claim for all of the PPI premiums you have paid to date. Click the button below to find out more information about reclaiming mis-sold PPI from your lender. Gladstone Brookes represent thousands of customers across the UK. We have successfully reclaimed mis-sold payment protection insurance in larger cities such as London, Manchester, Birmingham, Leeds and Glasgow on behalf of customers, but we do assist clients from any town or city in the United Kingdom. Click here for information on mis-sold PPI, we have a catalogue of statistics on payment protection insurance and how it can be mis-sold. Or if you are ready to start your PPI Check and find out what you could make a PPI claim for, contact Gladstone Brookes today. British banks have paid out over £32.9bn in mis-sold PPI so far. Could you be entitled to reclaim £1000s in compensation? Our friendly advisers are on hand to give you advice and guide you through the PPI process. Tap the button below or call us on 01925 321 009 now, as we cannot perform your PPI check until you do.